Looks Good from the Back: Reader Question: Professional Laptop Bag. Not Easy. Reader Question: Professional Laptop Bag. Not Easy. I am looking for a bag I can take to work that can at least hold a 13” laptop, and also has a couple of other similarly sized pockets for random papers that I collect, if I don’t sort them I could carry them around with me forever. ADDITIONALLY, my program has told me that they would likely cover the cost if the name of the item included “business tote” or “laptop bag” or similar, and was under $100. 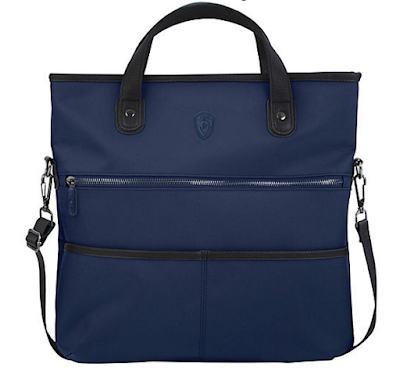 This Baggallini tote is quite a nice, sleek, work option and it has a padded laptop pocket. 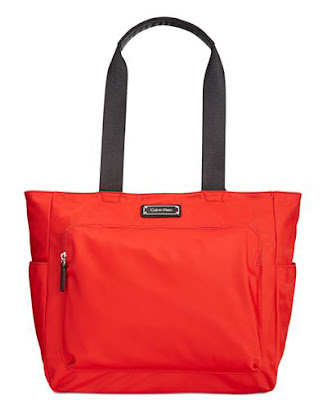 I like that it just looks like a nice work tote without screaming I AM SUCH A LAPTOP BAG. Okay, you knew this was coming, right? 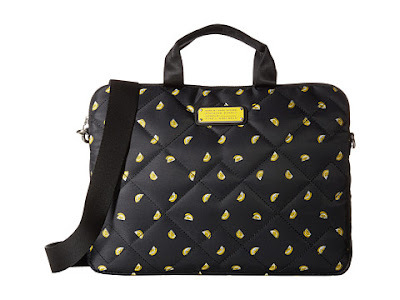 Yes, it's a Marc by Marc Jacobs laptop bag with a ridiculous lemon print. And it's under $100! I mean, come on. It is straight up adorable. You are welcome. 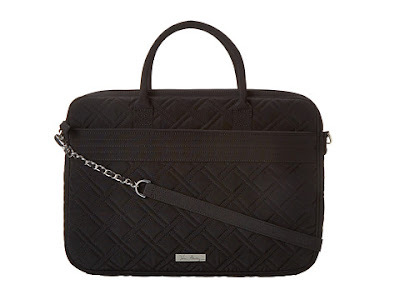 I never thought I'd be posting a Vera Bradley bag on my blog but this quilted laptop tote is totally good, right? And the graphic print lining is really fun! I am pleased with this. Bonus: it's under budget and had the word "laptop" in the description. 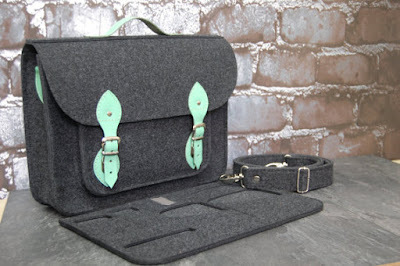 I checked Etsy because I was feeling brave and Eeeeee, how great is this handmade felt laptop satchel?? I just love it. I don't know that it's super business professional but it's awfully cute and I love that it's handmade. 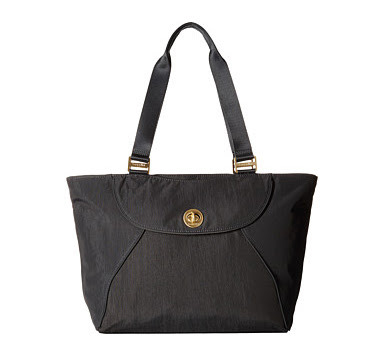 This Heys America Foldover Tote holds a 13” laptop and reminds me of a foldover Foley & Corinna bag! It comes in four colors, but I like the dark blue best. 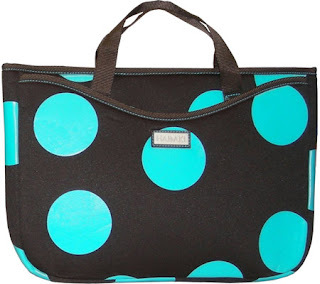 Y'all know I like a crazy print (and a bargain) so I also found this Hadaki by Kalencom neoprene laptop tote that comes in a bunch of fun prints. It's under $40! This one is for me. The Vince Camuto Leila Saffiano tote. It's not a proper laptop bag but does have a pocket that works for a laptop. And it's just straight up sleek and perfect and ugh. I love it. Right now it's on sale for just under $100, so really, someone should buy it. My final pick is over budget but I think it's too cute not to include. 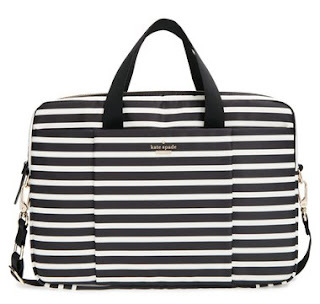 It's a Kate Spade New York Classic Nylon Stripe laptop bag and I LOVE IT TO BITS. It really couldn't be more perfect and stripey and yes. Budget be damned. Hopefully one of these options work for Lisa but if you have a suggestion please leave a comment! It's not under $100, but I can't say enough good things about the Lo & Sons Brookline. I just bought my second one after the first served me well for 4 years, including many, many trips abroad. Love Love Love Baggalini. If you 'live' out of your work bag like I do, you won't find anything better as far as having lots of pockets, sections and ways to organize and quickly find what you're looking for. It's also lightweight to start which is important once loaded with laptop, papers, etc. I carry the "errand travel bag" which is available on Amazon for bit over $100. 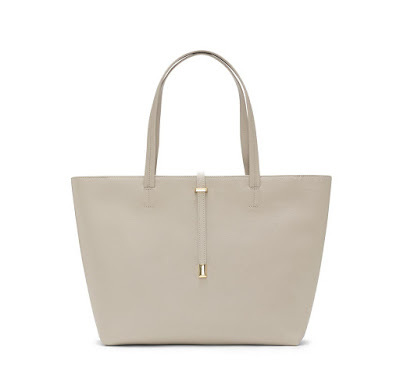 This one is above the price range ($160) but looks lovely: Matt & Nat Wes Tote (check Matt and Nat site, I think they are also at Nordstrom). I just got myself a Schlepp and am now kicking myself I didn't go for the Wes--it has a zipper closure, removable pouch, extra pockets inside..oy. I've had my Schlepp for a couple weeks and I love it, they are even prettier in person, really well made, and vegan/recycled. Good luck to Lisa! This is over budget but I'm a fan of the Tory burch York tote. The middle pocket is a padded laptop one. Also the Dagne Dover totes go on major sale and are amazing for organization!!! Has a laptop slot and lots of other useful compartments. I absolutely love my two Lo & Sons bags. Would recommend them forever. Also, similar in style and quality (I think) is Dagne Dover.